Flip Lover for PC and mobile is a fun simulation game developed by TapFunStudio. It will bring out the gymnast in you and offer an adrenaline rush as you flip in the air after jumping from crazy heights. The goal of this game is to do flips and land on your feet. While that may sound simple, the challenges can be quite tricky. There is a designated spot for landing that you have to aim for as you jump and backflip. Sometimes the challenge is to backflip twice or more. The physics-based system simulates realistic flipping, making the maneuver even trickier to master. The stunts in Flip Lover for PC mimic springboard diving except that there is no swimming pool waiting for you to land in. You will backflip from all kinds of high spots and hope to land with both feet on hard ground below. Execute the stunts properly to experience a high that not even flipping on a trampoline would offer. Time your jump or flips wrongly and your stuntman will fail terribly with a faceplant and sometimes landing on his head or back. Whether you fail or succeed, the flipping stunts in this game are fun. They offer a thrilling experience of trying something so daring but without the fear of injury. The gameplay in Flip Lover can become monotonous quite fast. So, to keep things interesting, the folks at TapFunStudio designed the game with different backgrounds. This continuous change of scenery will go a long way to keep you hooked. Every time you complete a level, the jumping off point changes as well. Sometimes you may be jumping from very high points and other times the distance will be shorter. 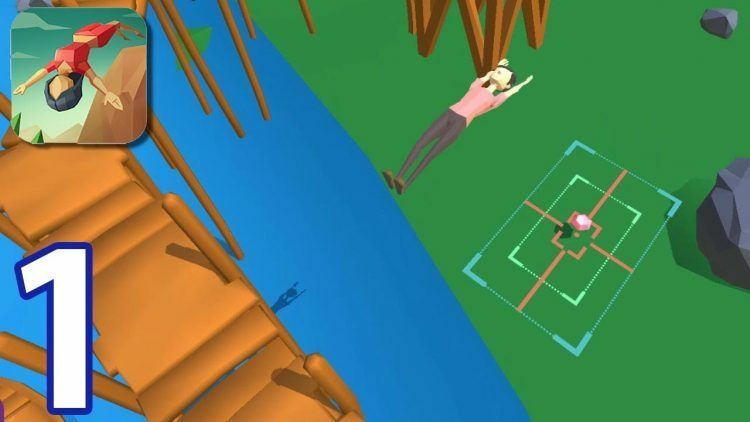 You will attempt crazy feats like landing a successful backflip from the back of a truck, the roof of a house, a long pole, high bridge, rock pillar, or treetop. Some levels can be very difficult to clear. If you get frustrated with continuous bad landings, watch a video ad to skip the difficult level. You must earn a certain number of stars to move on to the next level. Keep trying until you get all the required stars to unlock the next stage. To increase your chances of getting the required number of stars, always try to land on your feet inside the marked box. Landing on diamonds that appear in various levels will also boost your score. If you want to leap high on your initial jump, press and hold down the stuntman for a few seconds before releasing. This will charge the stuntman when he jumps up and backward to begin the backflip maneuver. However, don’t thrust away too far and miss the landing spot or hit something else in your surroundings. Flip Lover is the kind of game that can get on your nerves, especially if you keep landing on your face, head, or back. Taking regular breaks to maintain a cool head and rejuvenate can improve your game.